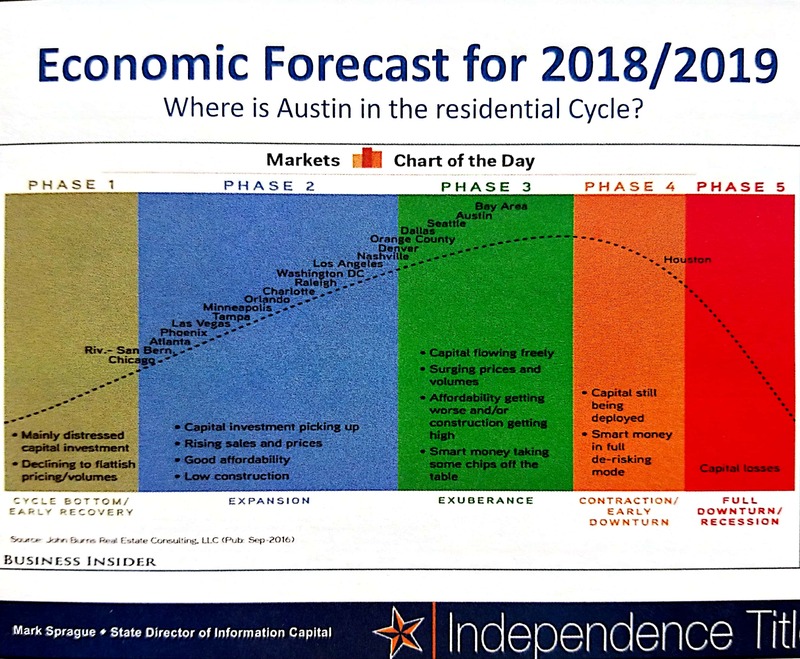 As I have noted, the current market cycle has run much longer than the typical cycle, now with more than five years of housing supply significantly trailing demand, rapidly rising prices, and pronounced affordability and gentrification issues, especially the closer you get to Central Austin. The rate of price appreciation has moderated somewhat, but year-over-year price increases will continue for this year (at least). 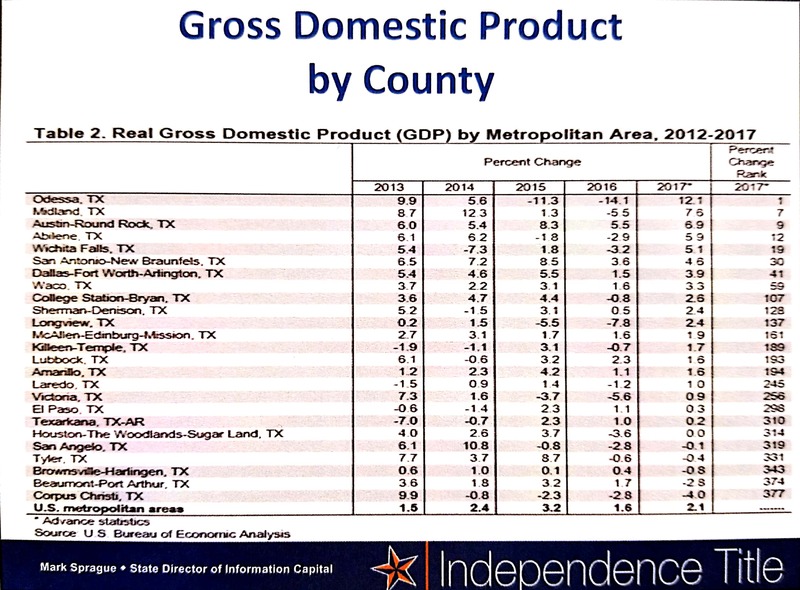 Notice at least through 2017 the Austin-Round Rock metropolitan statistical area was behind the Permian Basin and its enormous growth in oil and gas production, but well ahead of all other Texas MSAs and more than three times the average growth rate of all charted U.S. MSAs. 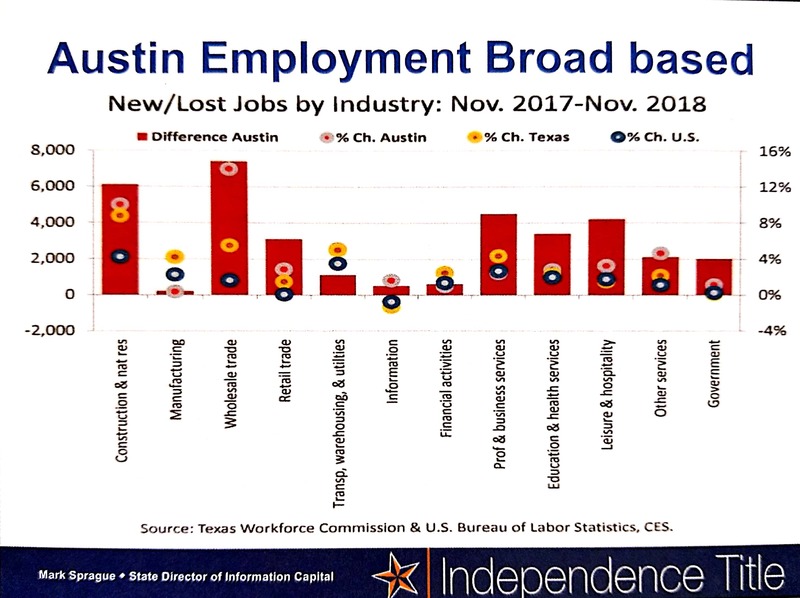 That data ends with October 2018, but any cursory review of local business news will tell you that job growth has continued, and that our regional unemployment rate is even lower than a year ago. 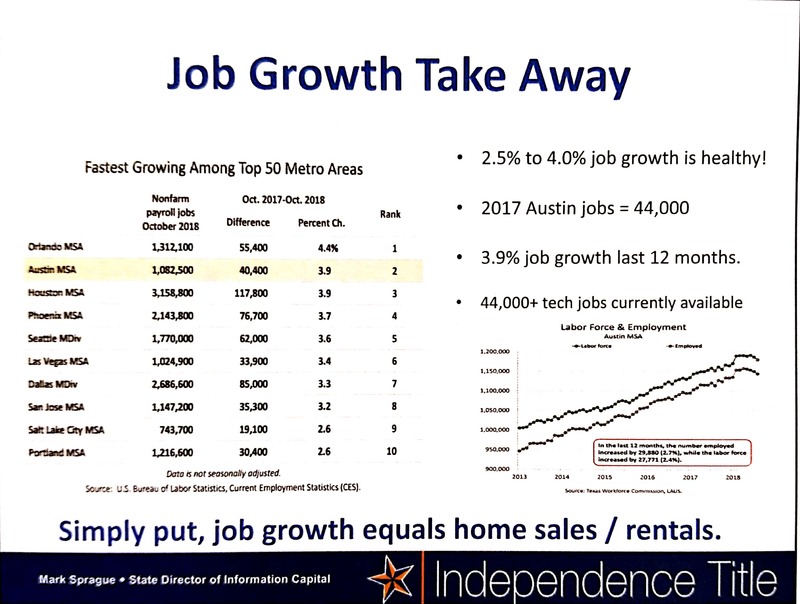 There is every reason to believe that Austin will remain attractive and the regional economic development efforts will continue to bear fruit. I’ll comment in a separate post with my own look at regional market data, but another respected market analyst and forecaster agrees that we’re not done with this market cycle yet.